is hand placed into the many rows or 'ribs' of a BioMat. All crystals used are gem quality. 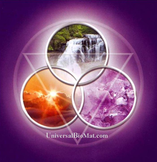 Emits & transfers energies and wavelengths: the most bio-compatible for humans & pets. Amethyst is universally considered to be a powerful superconductor crystal. most absorb-able long wave Far Infrared Rays for healing. 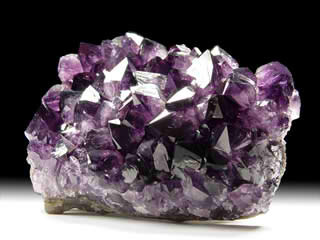 Amethyst is a variety of quartz which occurs throughout the world, either in crystalline or massive cluster form. The amethyst color ranges from deep purple to pale lavender. The presence of Manganese in clear quartz produces amethyst, while the addition of iron content varies the purple coloration. The most common occurrence is a medium purple color which is found in Brazil. 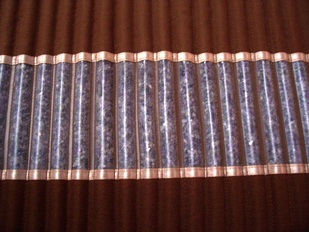 The amethyst crystals used in the BioMat are mined in Korea.